Okay, I know, it’s from a blue box, but even pre-packaged foods can be elevated and made more nourishing with some imagination and a handful of stuff from your fridge. 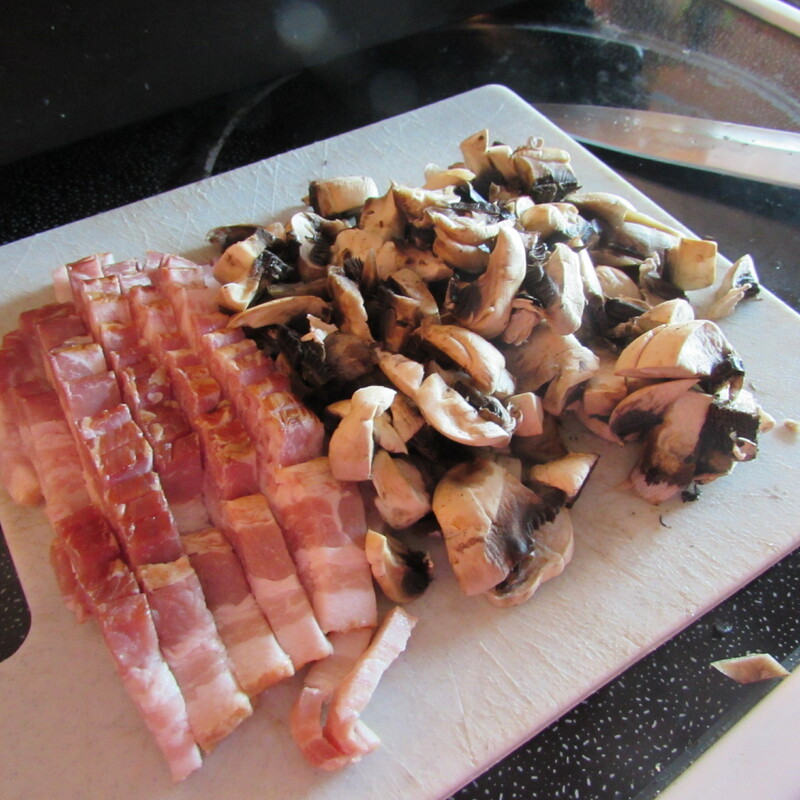 Today I had what was left of some sad looking mushrooms and a few strips of bacon, all of which had to be eaten. 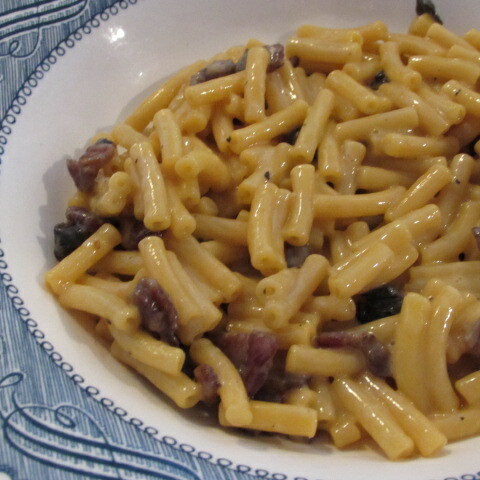 Enter a box of Kraft mac-n-cheese and an important tip from our mom, and it was practically genius! Place pot of water on stove and turn heat to high. 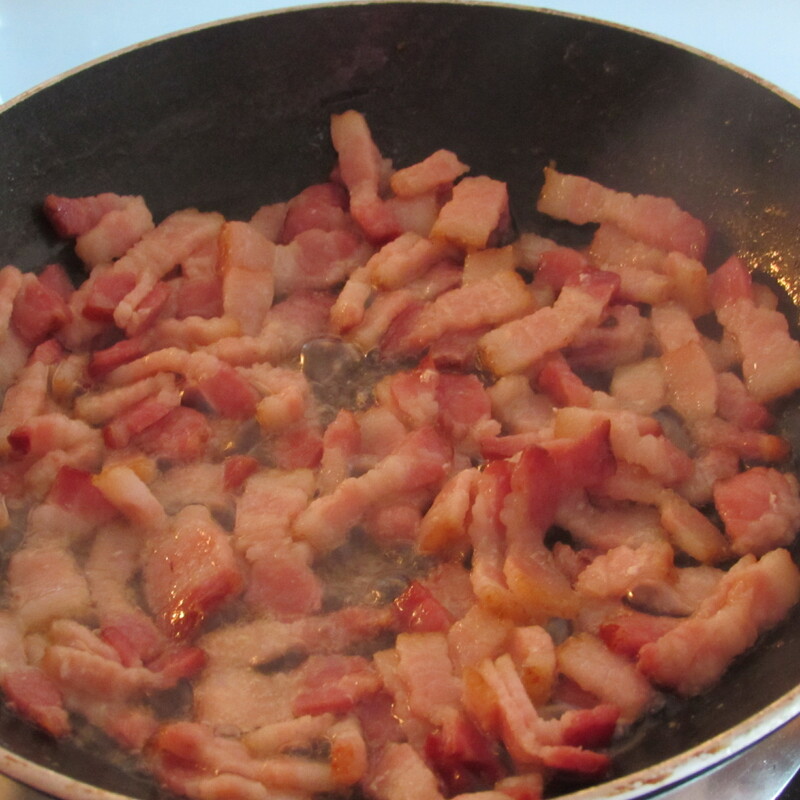 Put diced bacon in a saute pan over medium heat. Cook until almost done, drain off grease and add mushrooms to pan. 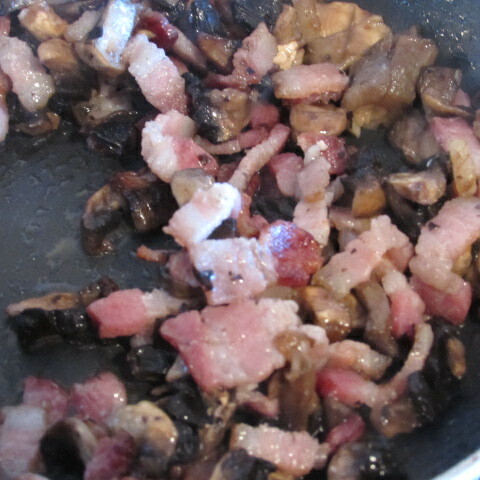 Cook until mushrooms are tender and bacon is done to desired doneness. Remove from heat. 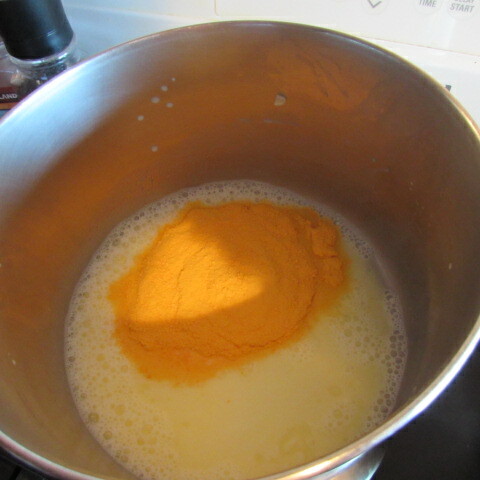 Boil pasta until al-dente ( I go 6 minutes on the Kraft), turn off heat and pour pasta into a colander to drain. 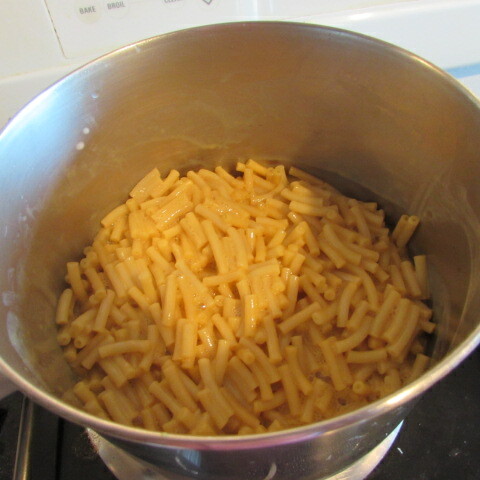 Important: the next part is a really cool trick I learned from our mom: Return pot to the same burner on which the pasta was boiled (now off but still hot). 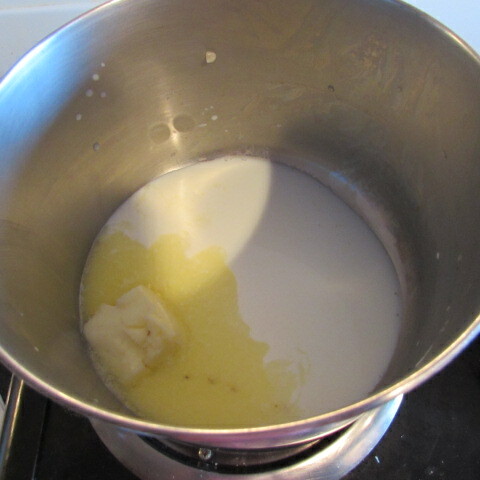 Put milk and butter in pot and, once butter is melted, whisk in the packet of cheese powder. 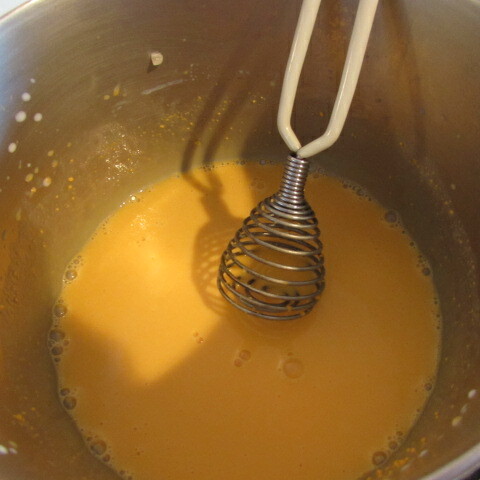 Continue whisking until smooth. 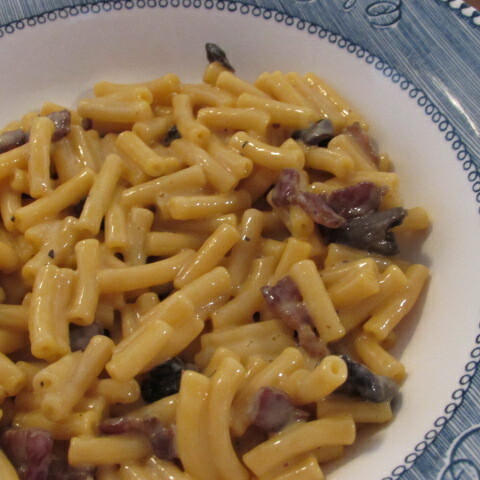 Stir pasta into the cheese sauce until pasta is coated evenly and stir in bacon and mushroom. Thanks for the tips, ma! 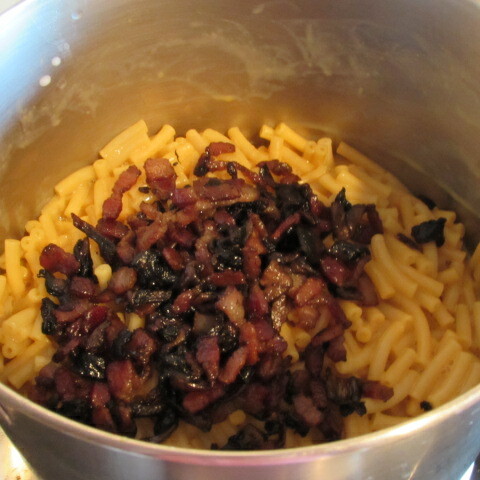 Tags: bacon, easy dinners, food, Kraft mac n cheese recipes, mac n cheese recipes, mushroom, with images. Bookmark the permalink. HAHA! Thank you! I wish I’d caught your comment earlier – I was just through your way yesterday!